Try something new for this summer’s BBQ! 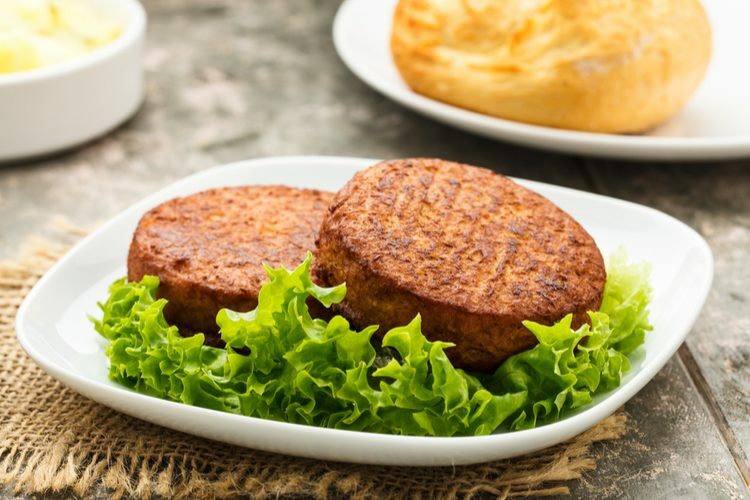 Gardein Ultimate Beefless burger is a vegan burger with no less than 15 grams of protein. Served with strawberry and avocado salsa; it’s just perfect for the grill this summer. Grill the burger according to the instructions on the package. Cut the avocados in half and remove the pit. Peel and dice them. Rinse the strawberries and remove the leaves. Cut them into small bits. Finally, chop the red onion. Gently mix the strawberries, onion and avocado together in a bowl with fresh cilantro and the juice of ½-1 lime. Heat the buns on the grill for a couple of minutes if you want. Put on some lettuce, the patty and then the strawberry- and avocado salsa. Yummy!